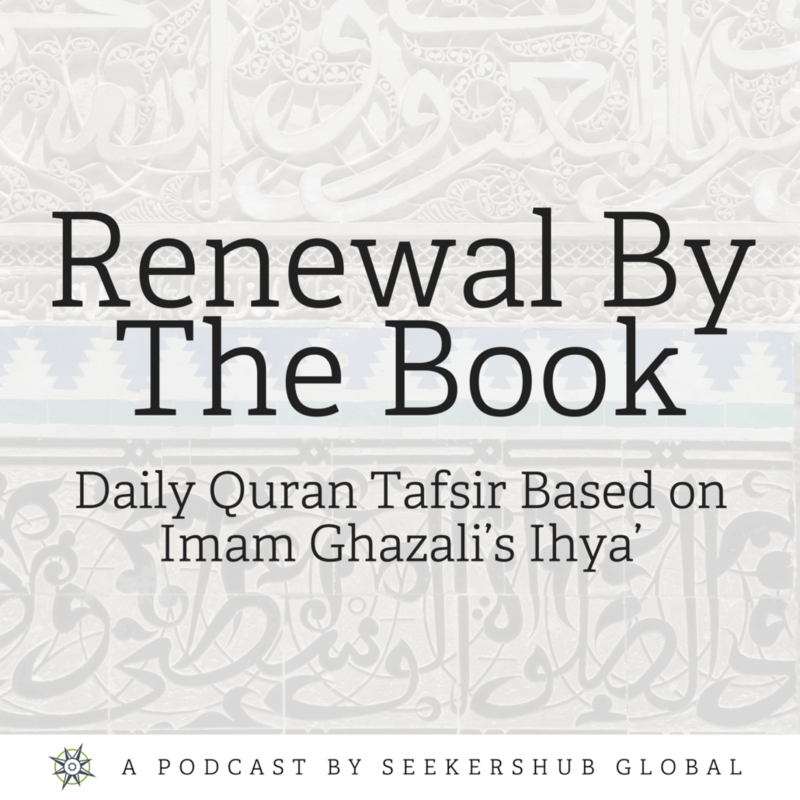 In this lesson of Renewal by the Book, Shaykh Faraz Rabbani, reflects upon verses of the Quran that correspond to the chapter on reflection and the end of life from Imam Ghazali’s Ihya. This verse is directed to those who seek the world and contentment in its pleasures, warning that whenever you seek contenment in this life it will disappoint you. Conversely, Allah invites all of us to the place that will never perish or dissapoint us and that is the Home of Peace. To respond to Allah’s invitation one needs to follow the straight path. The Prophet, peace be upon him, invited us to think abundantly about the hereafter and reflect upon death. The reflection upon death should lead one to understand the importance of working towards it and remaining steadfast on the straight path. Shaykh Faraz advises that people read the translation of the final book of the Ihya which was beautifully translated by Shaykh Abdel Hakim Murad.